When John Mitchell arrived to Mattoon in 1934, he brought with him the dream of establishing a business rooted in the ideals of quality service and customer satisfaction. Today, after nearly a century in operation, Mitchell-Jerdan Funeral Home and Ambulance Service continues to provide local and area families with compassionate support and professional service. Originally named Mitchell Funeral Home in 1934, the beautiful Queen Anne structure, built in 1899 at 1204 Wabash Avenue served as the Mitchell's business location and home. Prior to their arrival to Mattoon, the Mitchells operated funeral homes in Newton and Gillespie, Illinois. Three generations have continued the legacy at this same location. In 1982, the Coles County Regional Planning Commission voted to place Mitchell-Jerdan Funeral Home on the Coles County Register of Significant Places. The structure was renovated in 1953. The renovation included a casket room and a chapel, which seats up to 250 guests. In 1984, the Mattoon Chamber of Commerce awarded the Beautification Grand Award of Excellence to Mitchell-Jerdan Funeral Home. In the years following, the building underwent extensive exterior and interior renovations and remodeling projects. In 2016 the Coles County Historic Preservation Advisory Council re-designated Mitchell-Jerdan Funeral Home and Ambulance Service as a significant landmark. The house was constructed for Lewis L. Lehman, a prominent banker and politician. George B. Ballard was the general contractor and the grandfather and great-grandfather of future Mitchell-Jerdan Funeral Home successors George S. Jerdan and Gregory L. Jerdan, respectively. In 1917, Mr. Lehman sold the home to Dr. T.O. Freeman. It was the childhood home of his daughter and noted author, Bernadine Freeman Bailey. In 1946, the Mitchell's only daughter, Lois, married George S. Jerdan who had served in World War II as a captain in the United States Army. John Mitchell died two years later, and George S. Jerdan became involved in the operation of what became known as Mitchell-Jerdan Funeral Home and Ambulance Service. Mr. and Mrs. George and Lois Jerdan both were graduates of Mattoon High School. Mrs. Jerdan graduated from McMurray College and became a teacher, while Mr. Jerdan graduated from the University of Illinois School of Engineering, as well as the College of Mortuary Science in St. Louis, Missouri. The Jerdan family raised two sons: Myles, a physician in Marietta, Georgia, and Gregory, a graduate of Southern Illinois University in Mortuary Science in 1976, and a bachelor's degree in Psychology from Eastern Illinois University in 1978. In 1977, Gregory joined his father at Mitchell-Jerdan Funeral Home and Ambulance Service. In 1980, Gregory married Sylvia Núñez. Sylvia, a native of Peru, South America, graduated from Mattoon High School, Eastern Illinois University, and Decatur Memorial Hospital School of Medical Technology. 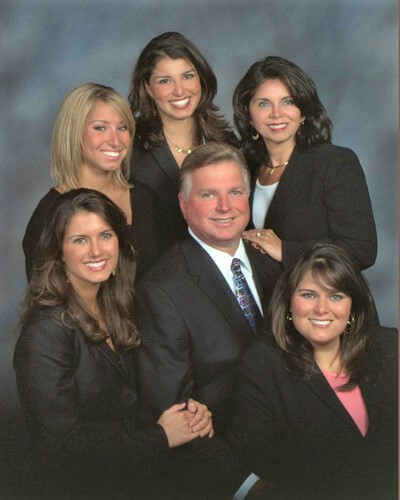 They are the parents of four daughters: Brooke, Courtney, Kimberly and Kendra. Kendra, the fourth generation of the Jerdan family, will continue the legacy. She will soon be graduating with a degree in Mortuary Science to follow in the family business. Since 1985, Gregory and Sylvia Jerdan have operated the family business with a commitment to serve their community and surrounding area with dignity and respect. They plan to continue into the future as the "people you can rely on, both today and tomorrow".